One new compound,3,5,7,8-tetrahydroxyl flavone 4'-O-α-L-rhamnopyranoside named rhodiolatuntoside(2),along with 7 known compounds,herbacetin-8-methyl ether(1),quercetin(3),rutin(4),tyrosol(5),salidoside(6),gallic acid(7) and β-sitosterol(8),which were firstly isolated from Rhodiola atuntsueneis,was structurally elucidated based on the spectral and chemical data. Seven compounds have been isolaed from the roots of Curculigo orchioides. On the basis of spectral analysis,their structures were elucidated as 2,6-dimethoxy benzoic acid (A),orcinol glucopyranoside(B),curculigine A(C),curculigoside(D),24s,3β,11α,16,24-tetrahyaroxycycloartenol-3-O-α-L-rhamnopyranosyl(1→2)-β-D-glucopyranoside(E),24s,3β,11a,16β,24-tetrahydroxycycloartenol-3-O-β-d-glucopyranosyl(1→2)-β-D-glucopyranoside(F) and dancosterol(G). Saponin F is a new tritepenoid compound. Three lithospermic acid B easter dervatives,dimethl lithospermate B, 9"-methl lithospermate B and 9'"-methyl lithospermate B together with nin known polyphenol compounds:protocatechualdehyde,protocatechui acid,caddeic acid R-(+)-β-D-(3,4-dihydroxyphenyl)-lactic acid,rosmarinic acid,methyl rosmarinate,lithospermic acid and lithospermic acid B were isolated from the dried roots of Salvia przewalskii. Squamostatin D(1), a new compound of non-adjacent bis-tetrhydrofuranyl annonaceous acetogenin,and a knowncompound 2,4-cis-and trans-bullatacinone(mixed,2)have been isolated from the seeds of Annona squamosa.The structure of squamostatin D was elucidated as (1) by its spectra analysis of IR,MS,1H NMR,C NMR and its acetylate spectra of MS,1H NMR. Ten compounds were isolated from the methanolic extract of the aerial parts of Onychium lucidum .These compounds were identitied as luteoloside (1),3,7-dimethylquercetin(2),contigoside B(3),onychin (4),lucidol(1β-methoxy-2β,3α,4β,5α,6β-pentahydroxycyclohexane)(5),onychiol B(6),β-sitosterol(7),daucosterol (8),oleanolic acid (9) and sucrose (10). COmpound 5 is a new constituent,while 1,2 and were isolated from the genus Onychium for the first time. A new sesquiterpenene lactone-eupatoranolide was isolated from the flowers of Eupatorium adenophorum. Some known comporumds,2-acetoxy-3,4,6,11-tetradehydrocadinan-7-one,7-oxoagera phorone,kolavenol,eugenyl-O-β-D-glucopyranoside,5,4'-dihydroxy-3-O-β-D-glucopyranoxyflavonone,3,5,4'-trihydroxy-6-7-dimethoxyflavonone were also obtained. Their structures were determined by spectroscopic evidence. The induction of vascular tissues in graft unions by IAA zeatin (ZT) was studied by using explanted internode autografting of cucumber(Cucumis sativus) cultured in vitro. Exogenous hormones were the limiting and controlling factors for vascular bundle regeneration in the graft unions. Vascular development ,such as formation time and total amount of vascular bridges as well as tracheary elements(TE) between stocks and scions,depended on the concentrations and the kinds of exogenous homones. Explanted internode autografting is one of ideal systems for studying the vascular tissue differentiation. The factors affecting Agrobacterium -mediated gene -transformation of epicotyls of Citrus in viro are studied in this papre .Transgenic Poncitrus trifoliata with CTV-cp gene were obtained. The main results are as follows:As a selectable agent,concentration of Kanamycin is 20-30 μg/mL for Citrus except P.trifoliata,which is 50 μg/mL. The optimal cocultivation time of explants & Agrobacterium is 3 days. Gus transient expression frequency was promoted ,when the concentration of acetosyingone is 70-100 μmol /L. Gustransient expression frequency is higher in epicotyle from 20d seedling. Under the same transformation conditon, the rate of explant with resistant shoot and the rate of explant with Gus positive shoot are different in different Citrus species. Extral gene is proved to be into P.trfoliata by southern blot examination with probe of plasmind pGA482GG cut by Nco IE. The chromosome numbers and karyotypes of 7 taxa of Delphinium from southern Qinghai in China in the present paper,are reported.Their karyotype formulae are D.pylzowii,2n=16=2m +4sm+10st;D.trichoporum,2n=16=2m+4sm+10st;D.albocoerulum,2n=16=2m+4sm(2SAT)+10st; D.nangchienense,2n=16=2m+6sm+8st; and D.kamaoense var.glabrescens,2n=16=2m+6sm+8st. The chromosome numbers and karyotypes of the former five species are reported here for the first time. The C-banding patterns in 8 populations of Paeonia delavayi var.lutea were investigated by using a modified BSG technique. Each population examined here showed there were C-bands at the centromeric regions of all ten chromosomes. However, C-bands were not observed on long arms of any chromoseme. There are differences in the C-band numbers and positions in the terminal regions on the short arms. In Ludian population ,C-band occupies one termical region on the short arms of the first and 4th paris of chromosomes respectively,which means the homologus chromosomes of the first and 4th pair of chromosomes are heterogeneous.Each population has the unique C-banding pattern except two populations of Xishan and Liangwangshan,which share the same C-bading pattern. Namely, there are 7 C-banding patterns in 8 populations examined here. 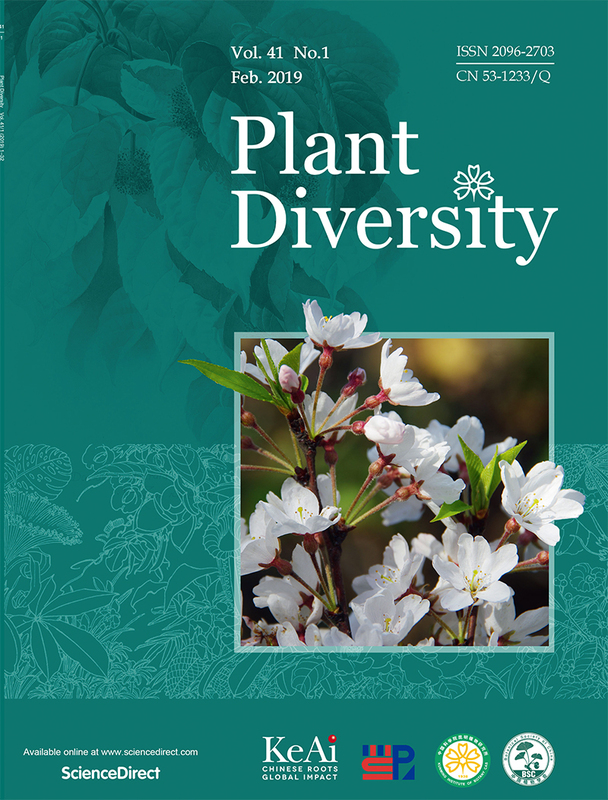 The diversity of C-banding patterns indicated that the genetic diversity occurs in P.delavayi var.lutea. The plastids of tapetal cells of Euryale ferox in microspore mother cell stage appera changes in shape apparently. Two nuclei in a cell are always adhere to each other or in a state of mosaic. Well-developed plasmodesmata appear between the middle wall layers of two adjacent cells.During meiotic cell division stage,wall of tapetal cells dissociated and disappears,plasmodesmata break down,asynchronus condition occures in cell development. Deposition of starch in plastids initates at this stage. Part of plastids vacuolated with invagination of plastid membrance,with possess the same function as that of vacuole in the cell.In tetrad stage,the structures of tapetal cell begin to dissociate. The embryology of Kobresia was studied preliminarily.The development of megaspore and microspore,as well as the structure of ovule,is identical to that of other groups in Cyperaceae. The pollen of genus is pseudomonad,the embryo sac is of Polygonum type,the endosperm is of nuclear type,and the embryogeny is of the Juncus variation of Onagrad type. These embryological characters are agreeable with those of the Cyperaceae. Therefore,the family Kobresia and its related genera(Carex,Schoenoxiphuim and Uncinia) should be retained in the family Cyperaceae other than raised as a separate family,Kobresiaceae. Kengyilia stenachyra is a hexaploid perennial plant in the tribe Triticeae native to west China. K.stenachyra was hybridized with Elymus caninus,Roegeneria kamoji and K.hirsuta. The chromosome pairing behavior at metaphase I in the parents and hybirds was observed. Meiotic configurations are 23.79I+5.20II+0.27III for E.caninus×K.stenachyra,18.23I+11.68II+0.06III＋0.06IV for R.kamoji×K.stenachyra,and 4.83I+17.31II+0.55III+0.20lV＋0.02V for K.hirsuta×K.stenachyra. Based on the chromosome pairing in the hybrids,and species morphology,K.stenachyra should be correctly grouped in Kengyilia rather than in Roegneria. The pollen of 12 species from 10 genera,Kerria,Fillipendula,Rubus,Dryas,Geum,Potentilla,Sibbaldia,Agrimonia,Spenceria and Sanguisorba in Rosoidea(Rosaceae) in China systematically are studied in the present paaper.The above genera are with tricolporate pollen grains.The shaps of the pollen grains vary from subspheroidal to prolate.The pollen grain size is (16.06-31.88)μm×(15.03-35.70)μm. Amb 3-lobed cirular,colpi usually long but narrowed in two ends,rectangular form.The pollen grains of Sanguisorba filiformis are special for its ver wide central party,and covering with elliptic colpal membrance. Sculptural types of the subfamily Rosoideae are presented as bellow:foveolate,foveolate-striate,striate-reticulate,striate and spinulate. The sculptural categories of pollens in Rosoideae are the most complicated,compared with other subfamily in Rosaceae. Together with the stdies of the pollen morphology concerned in the subfamily of Rosoideae,several systematic questions are discussed. The population composition and seasonal variation of VA mycorrhizal fungi spores in the rhizosphere soil of four mycorrhized plants which were transplanted in the greenhouse from the field were studied.It was found that the sporulation of VA mycorrhizal fungi was obviously with host-dependence and seasonal variation.The composition of VA mycorrhizal fungi population differed in the rhizosphere soil of different host plants.The spore abundance of the same species of VAmycorrhizal fungus was dignificantly different in the rhizosphere soil of different hosts which were grown in the same habitat.The factors that affect spore population composition and seasonal variation of VA mycorrhizal fungi were discussed in this article. The micromorphology of basileaf and pollen of 6 species in Pinellia were observed under scanning electron microscpoe(SEM). Observation results show that the surface of basileaves is covered with reticulate,spot stain or filamentous stripes.The shape of tridermal cell is polyangular.The density of stomatal apparatus is (0.67-1.3)×10^2 /mm^2,and its size varies.The density of stomatal elliptic or long elliptic,and subsphaeroidal respectively.Aperture is alone apertune in polar with foramen or none.Exine sculpture is spinous process.Enzyme zymogram with A to F band was observed byexaming peroxidase(POX) in culbs of Chinese Pinellia species.There are 6,4,4 and 3 bands in P.cordata,P.pedatisecta,P.ziguiensis and P.ternata respectively. Four new record species to China,Acantholimon tarbagataicum Gamajun,Gentiana septemfida Pallas.,G. verna L.subsp. Pontica(M. Soltokovic) Hayek and Mertensia tarbagataica B.Fedtsch., which were found in Xinjing are reported in this paper. 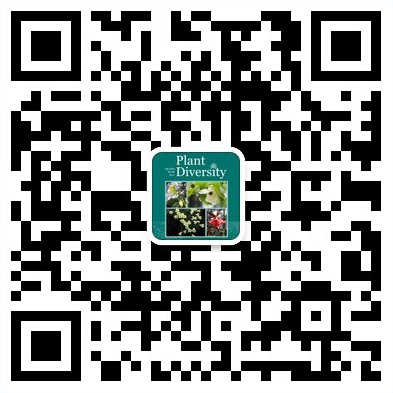 There are 261 species of vascular plants in the Form.Quercus mongolica that located in the floristic region of NE.China.The temperate florstic elements are 47.47% of the total elements.The E.Asia elements are 42.02%.The endemic floristic elements to China are 10.51%,in which the cospololitan floristic elements are not included.The distribution types of all genera in the Forma.Quercus mongolica are analysed.The temperate distribution types of genera are 90.3%.The florstic elements of the three layer,shrub layer,herbaseous layer and liana are also analysed. This paper is developed from the previous pubication,Biological Effect of Shan-Malay Plate Displacement(the Movement of Burma-Malaya Geoblock) on Dulong River Flora(published in this journal in 1994.After more than four years of careful dtudy,we have expanded the scope to some of the flora and fauna of the Gaoligong Mountains and then to the biota of the East Himalayas and the Yunnan-Guizhou Plateau.The results from this re-examination of the biological effects of plate movement indicate that plate displacement had a series of isolating geographical effects on the occurrence,evolution,and distribution of the flora and fauna in this region ,resulting in the Gaoligong Mountains vecoming an area with a distinct and divers biota which is ancestral to the biota of the East Himalayas.